Christmas is a time for giving. 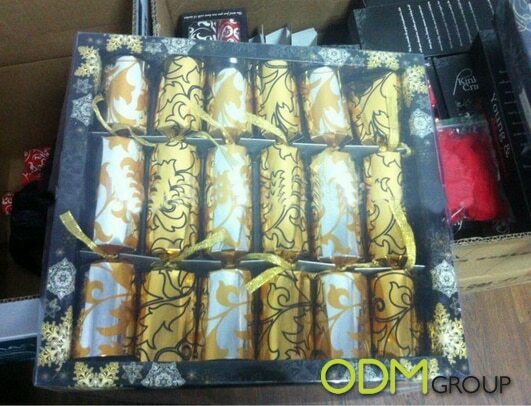 Show some Christmas spirit and get your company seen in a festive light with promotional gift giveaways. 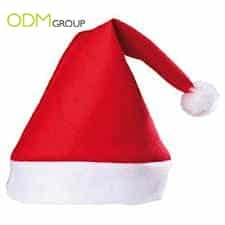 Promotional items work especially well in the festive season as one is able to promote your business as well as offer gifts. Small households and students often don’t buy Christmas trees. Meet them halfway with a miniature decorative tree lamp that will give off a Christmas atmosphere and drive sales in the run up to Christmas. 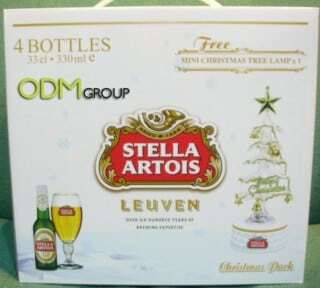 The idea is used to great effect here by Stella Artois. Give your logo festive exposure on shiny Christmas baubles. Incorporate a Christmas design to complement your logo and watch it shine on the Christmas tree. 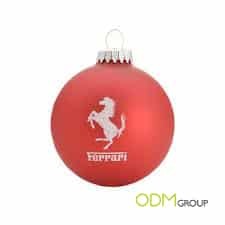 The fantastic looking Ferrari bauble is the perfect example. Candles are natural mood setters and offer a relaxing warmth. Candle holders are a popular Christmas gift. Choose either a candle or a holder. You can also combine the two for the perfect gift. Both parents and children will be drawn to a promotional stockings. 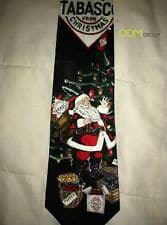 Stockings are placed above or around a fireplace waiting for the night visit of Father Christmas. This is the perfect gift to offer as an on-pack promotion due to its light weight. 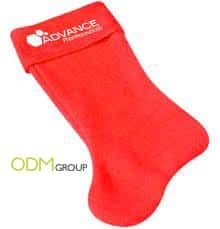 The stocking by Advance is an example of how a company name can add to the visual design of a stocking just using two colours. A promotional gift that the whole family will appreciate around the Christmas dinner table. There is the possibility to customize the gifts inside the cracker to be relevant to the promoting company’s core business values. Christmas parties require special costumes revolving around the Santa or elf theme. The perfect example of where promotional gift elf hats would be great is for office parties. Wrapping paper is used extensively during Christmas. 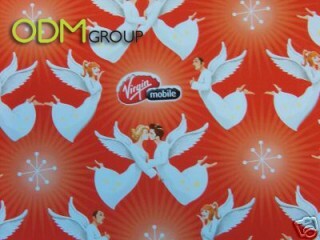 Families will enjoy a beautifully designed wrapping paper as a promotional gift. The example here is a wrapping paper by Virgin Mobile and shows how the idea can work for your company. Novelty items in any shape or form always go down well at Christmas time. The pictured example from Tabasco shows how brands and the Christmas theme can work together. What are you planning for your Christmas promotion?